As Chandler Bing would probably say on a momentous occasion such as this — this, of course being that Father’s Day and Prince William’s 33rd birthday fall on the same day — “Could the royal BE any more wonderful as a dad?” Well, obviously, the question is supposed to be rhetorical, but if you're looking for a definitive answer, it's "no." Prince William is truly the most adorable and attentive father to both Prince George and little Princess Charlotte, and I don’t think that there is much more he can do in the years to come that he hasn't already proven in the nearly 24 months since he's earned the title. Since he's royalty and all, William could just pose for a few pictures and hand his children off to someone else to care for them as he attends to his public duties. It’s clear that this is not the case, however. Whenever the prince is in the company of his children, it’s apparent that they are his first priority and that they share a very special and close relationship. So, in honor of not only Prince William’s 33rd birthday on Sunday, June 21, but also as a homage to his parenting of little royals Prince George and Princess Charlotte, here are 7 times he proved he was an A+ dad. Pretty sure England has since made this illegal. Or, at least they should. Cuteness this strong is dangerous. Can't stress how important that is. Prince George is excited. Dukedom be damned. That takes some good parenting... and strong arms. Even royal kids are just kids, and their parents have to understand that things like this happen. 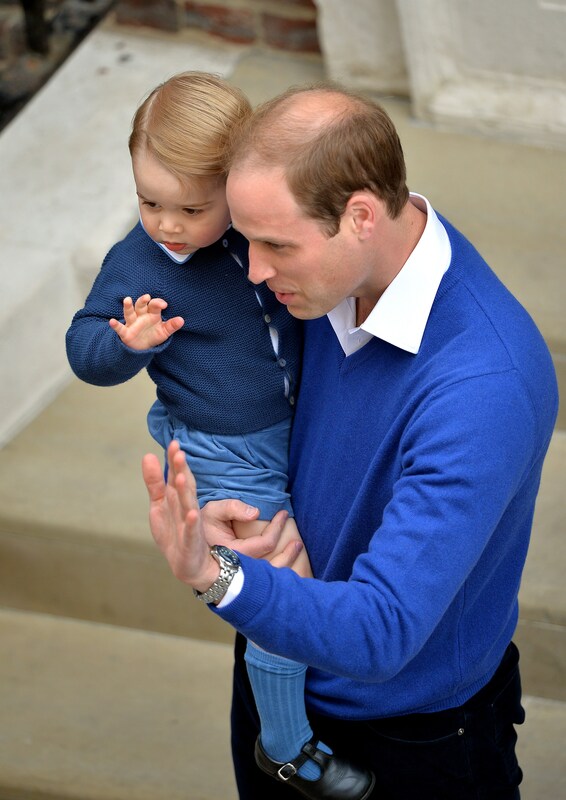 Thankfully, William seems on top of it, and is surely just as good a dad to George and Charlotte behind the scenes. Happy birthday and Father's Day, Prince William!